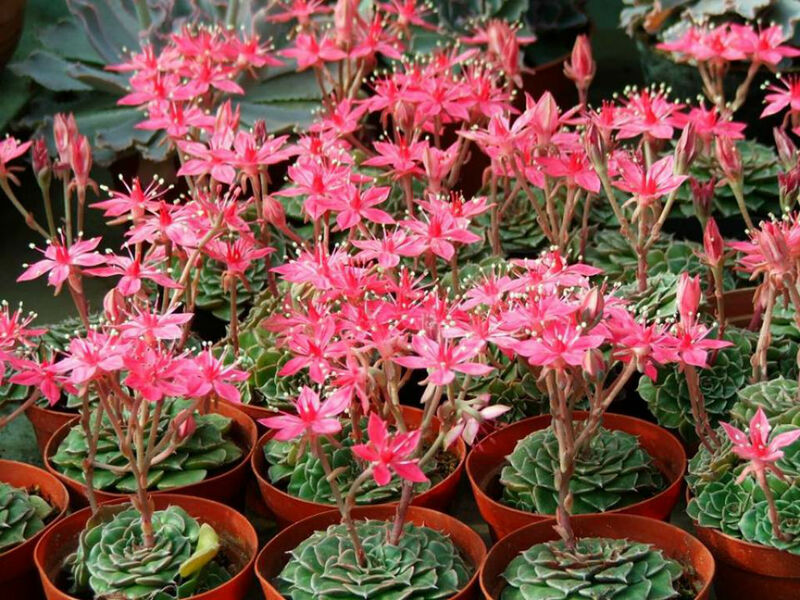 Graptopetalum bellum is a small perennial succulent plant, slowly spreading by offsets, up to 3 inches (7.5 cm) tall. 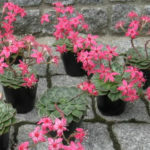 The rosettes are up to 4 inches (10 cm) in diameter composed of dull grey or bronze, approximately triangular leaves, about 1 inch (2.5 cm) long. 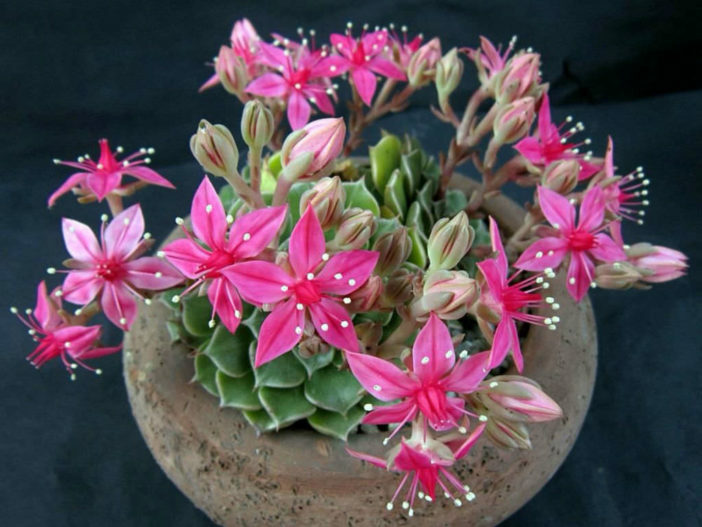 The flowers are star-shaped, 1 inch (2.5 cm) across, deep pink to red, upright at the top of 4 inches (10 cm) branched inflorescence. 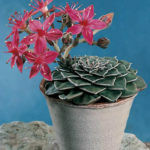 The rules for Graptopetalums care are similar to those for most succulents. 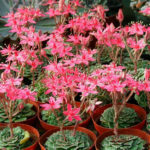 Container-bound plants thrive in a mixture of peat, sand or other grit, topsoil and a little bit of compost. Full sun is the best situation but they will also grow in partial sun with slightly rangy results. 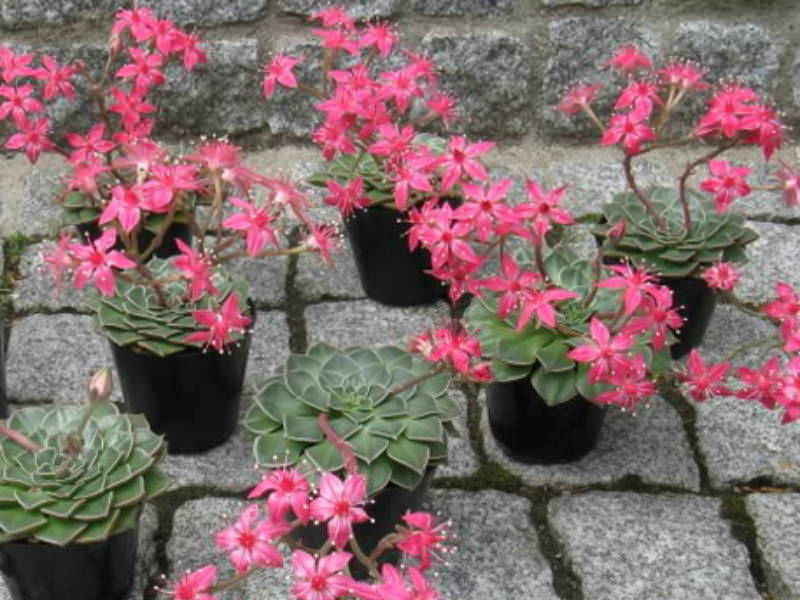 Graptopetalums need excellent drainage and moderate water. You can tell when to water by sticking your finger in the soil. 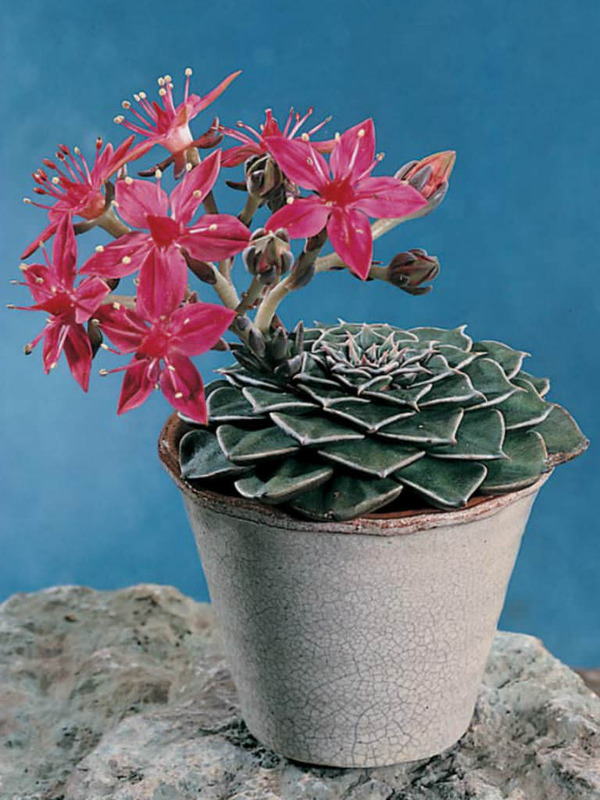 If it is dry several inches down or the fleshy leaves are looking shriveled, you should water. Overwatering is a cause of root rots and the plant can get several pest infestations.